The tiny world of the Americas will prove even smaller as Roger continues his search for Brianna. On Outlander Season 4 Episode 8, both Roger and Brianna ultimately find themselves in Wilmington, after which the installment is named. It is there that the two will be reunited, but it may be a short-lived reunion when Brianna discovers all that Roger had been purposefully hiding from her! 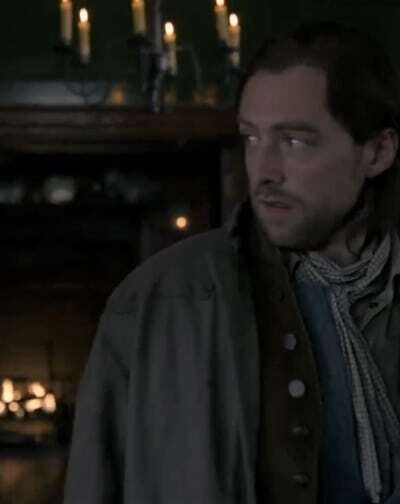 Of all the people for Roger to stumble onto and ask about seeing Brianna, he runs straight into Fergus. 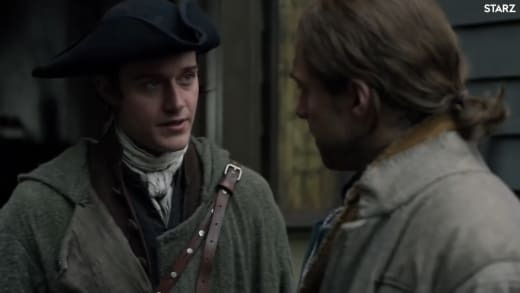 Now, it might be fun for the time traveler in us to imagine being so close but yet so far to people we don't know hundreds of years apart, but after an entire hour of amazing coincidences on Outlander Season 4 Episode 7, the Fergus bumped seems silly in the trailer. That only means Roger, Brianna, or both will probably trip over Young Ian, Rollo, Marsali (really ironic given Brianna's recent visit with Laoghaire) or drop a carton of apples at the feet of Murtagh. It's not as if Murtagh won't be off doing his own thing. The trailer shows he's in a pickle of his own, no longer just a rebel rousing regulator, but labeled an insurgent! Holy 2018 terminology. Whether any of that happens, who knows. But even on different ships at different times and with Roger's ride taking an additional four stops on its way to the Carolinas, somehow he'll find himself in the same tavern as Brianna. No, he won't see her, but he'll recognize her voice from across the room. To be fair, Brianna's voice is one of a kind taken a world away from her 1970's American accent. If he had a Bahstahn lilt, she'd be even easier to pick out of a crowd! 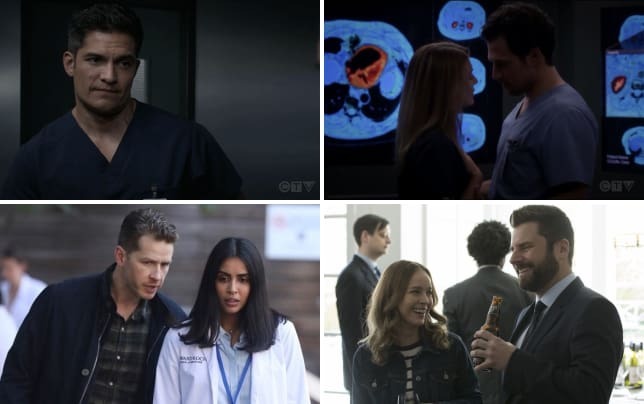 We don't know how long the two will be together or how much they'll talk, but the trailer also drops some bad news. Brianna sitting with Stephen Bonnet who then gives to her something precious from her past future can only spell disaster. We've seen him turn on the charm, and he successfully charmed her parents so that they lost not only their fortune but some of their most beloved friends, as well. Their anniversary is forever tarnished with the memory of Bonnet's strike on their boat and what could have happened instead of what did. Yes, there are too few people in the Americas and it really is a small world when everyone knows everyone and they're falling all over each other into the lives of the next family member to suffer similar consequences at the hands of rotten scoundrels like Bonnet. Take a look at the trailer and place your bets on who else Brianna and Roger might run into while they walk around Wilmington. What will Brianna do when she sees what Bonnet has in his possession? Be sure to watch Outlander online if you're behind! Don't miss a minute of the adventure.